Did you find it easy to approach the figure as a whole or were you distracted by details of the sitters dress? The way I chose the poses and the type of cloth that I draped my model in made it easy for me to approach the figure as a whole. The folds and shadows helped me to accentuate the models shape in both poses. How did you create volume in the folds of fabric? 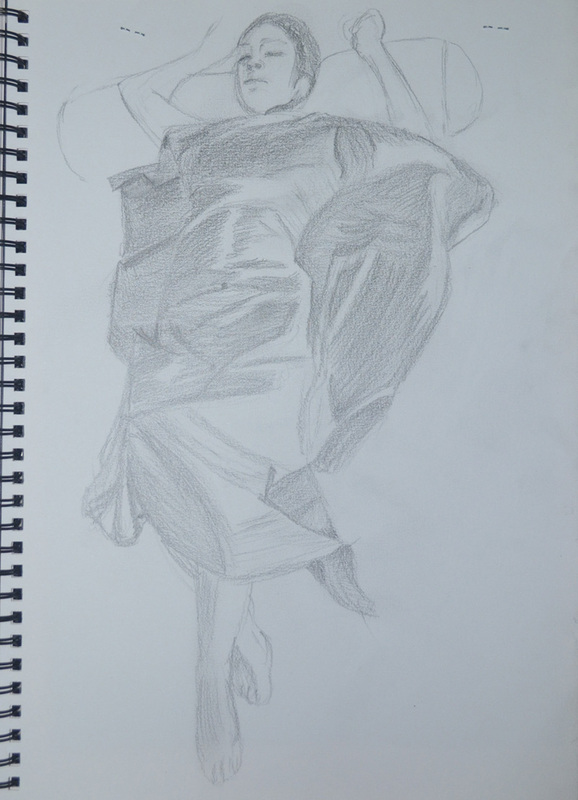 I would have to say hatching and curved hatching, as well as use of light and shade, I did my best to depict the certain types of folds as researched from George Bridgman and described in the ‘Fabric with Line and Form‘ exercise. 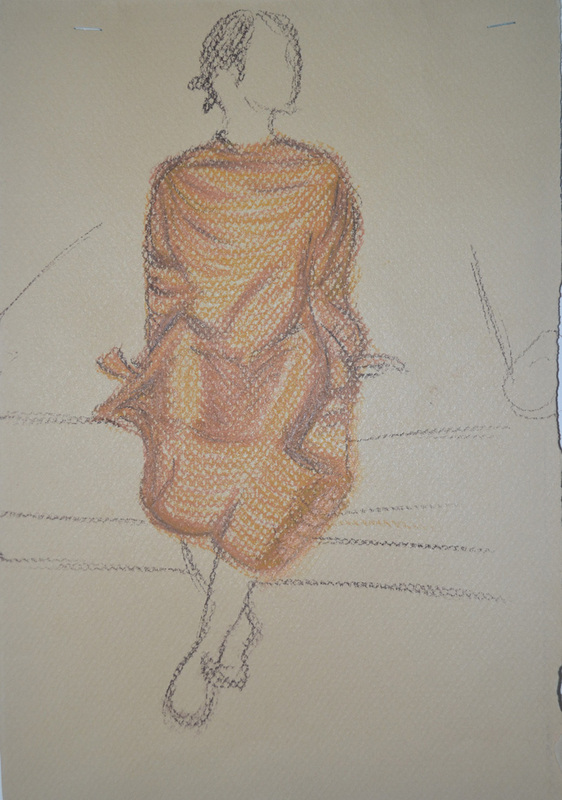 Does the finished drawing give a sense of the figure beneath the fabric? Yes, every limb and every curve including the gap between the rib cage and the convex shape of the pelvis. How would you tackle a drawing like this again? I would have to say, slower and in a lot more detail, iI liked the outcome of the three drawings but I feel spending a lot more time on them can improve quality of outcome. I would also love to have a go on larger sheets of paper in charcoal.